UPDATE (21.58): British MPs vote down the EU withdrawal agreement. British Prime Minister Theresa May's Brexit deal has been rejected by a majority of 230 votes in what is considered by the British media the largest parliamentary defeat of a sitting government in history. The Labour leader Jeremy Corbyn has already tabled a vote of no confidence in the government, with the support of the leaders of all other opposition parties, which could trigger general elections. REACTIONS: The President of the European Commission Jean Claude Juncker has posted the following message on Twitter: "I take note with regret of the outcome of the vote in the House of Commons this evening. I urge the UK to clarify its intentions as soon as possible. Time is almost up." In his turn, the President of the European Council, Donald Tusk, asks on Twitter, too: "If a deal is impossible, and no one wants no deal, then who will finally have the courage to say what the only positive solution is?" The Romanian minister delegate for European Affairs, George Ciamba, writes on Twitter as well: "Really bad Brexit. RO2019EU is in close contact with EU institutions. We will stay united. We count on UK to protect the rights of European citizens as already promised. All options are still open." Strasbourg – The Romanian PM Viorica Dancila stated Tuesday in Strasbourg that Europe has always been able to overcome obstacles and to start anew after less fortunate events in its history, adding that it was important to show the European citizens that the EU institutions are working in their interest. Referring to the postponement of Romania’s Schengen accession, PM Dancila said that Romanians perceived it as an inequity. The Romanian PM presented to the European Parliament the priorities of Romania’s presidency of the Council of the EU. Brexit and the negotiation of the Union budget for the period 2021-2027 are among the most important issues Romania will have to manage in the coming period. Romania’s priorities as president of the Council of the EU rely on 4 pillars: a Europe of convergence, implying growth, cohesion, competitiveness, connectivity, a Europe of safety, Europe as a global actor and a Europe of common values. The Romanian PM visits Strasbourg after, last weekend, the president of the European Commission Jean-Claude Juncker, the president of the European Council Donald Tusk and the president of the European Parliament Antonio Tajani as well as members of the College of Commissioners came to Bucharest to participate in the official ceremony marking the launch of Romania’s presidency of the Council of the European Union, taken over on January 1, 2019. National Culture Day – Romania’s National Culture Day was celebrated on January 15 for the 9th consecutive year, on the same day with the birthday anniversary of Romania’s greatest poet Mihai Eminescu. Many events were held to mark the two anniversaries in Romania and the European capitals. A festive meeting took place at the Romanian Athenaeum in Bucharest when the Romanian Academy launched the application ‘Mihai Eminescu, complete works’ available free of charge on Smartphones. Romania’s National Culture Day was also celebrated in the neighboring Republic of Moldova as well as in the Romanian communities from abroad. Protest – The protest of the miners with the Oltenia Energy Compound (in the south) carries on after, on Tuesday, the administration agreed with a pay rise of 12% for the production staff and with granting holiday vouchers. Several employees went on hunger strike and the board claims the protest is illegal and does not comply with the Collective Bargaining Agreement. The miners have asked for a rise in their pay starting from 850 Euros per each employee, for holiday vouchers, more money for Saturdays and Sundays and improved working conditions. The miners’ protest started on Friday when 200 miners at the Jilt Nord pit refused to work. The protests gradually extended to all the company’s pits. Official data show that at present the situation of the national energy system is normal, the input of coal to the system standing at a constant amount of more than 23%.  Sentence – The former president of Romania’s Professional Football League Dumitru Dragomir on Tuesday received from the Bucharest Court a 4 year-imprisonment conviction. He is accused of having received more than 3 million Euros in bribe between 2009 - 2011 from the RCS/RDS company administrator Ioan Bendei in exchange for granting the rights for televising the League 1 football matches. According to the court decision, Dumitru Dragomir was sentenced for the crimes of bribe taking and money laundering. In the same file, Ioan Bendei was also sentenced to 4 years in prison. The decision is not definitive and can be challenged. In the past year, Dumitru Dragomir was investigated in several files but he was acquitted even if he had initially received many years in prison in the trial court.